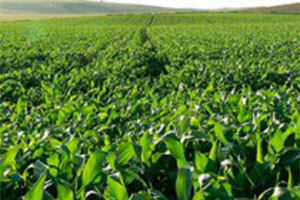 In implementing Africa's agricultural transformation policies, East African countries are leading. South Africa is second, according to a report on the Malabo declaration. The declaration is a set of agricultural objectives to be achieved by 2025 by the Heads of State at the African Union Summit in Malabo, Equatorial Guinea in June 2014. The Scorecard for African Agricultural Transformation tracks progress in government commitments. East Africa managed an average score of 4.20, which indicates that, when assessed against the 3.94 benchmark for 2017, it is on track to meet its commitments, with five of the eight regional countries that submitted their progress to the AU, managing a minimum score of 3.92. Thanks to political and institutional reforms, Rwanda was ranked Africa's best agricultural transformed country with a score of 6.1. Burundi scored 4.7, Ethiopia 5.3, Kenya 4.8 and Uganda 4.5, in order to cement the region's 4.2 score ahead of the region of South Africa, which scored 4.02, and North, Central, and West Africa, which scored 3.83, 3.62 and 2.35. Ethiopian Prime Minister Hailemariam Desalegn spoke at the launch of the scorecard and asked the seven countries that did not submit their reports to do so in the next review in 2020.